Thanks to everyone who came to our August meeting Tuesday night. By Jen’s quick headcount, 35 players were strumming away – our biggest turnout since we started meeting back in January! A very warm welcome to the many first-timers who joined us — we hope to see you again soon! Special kudos to everyone who played a solo for the group. Every song was a gem. 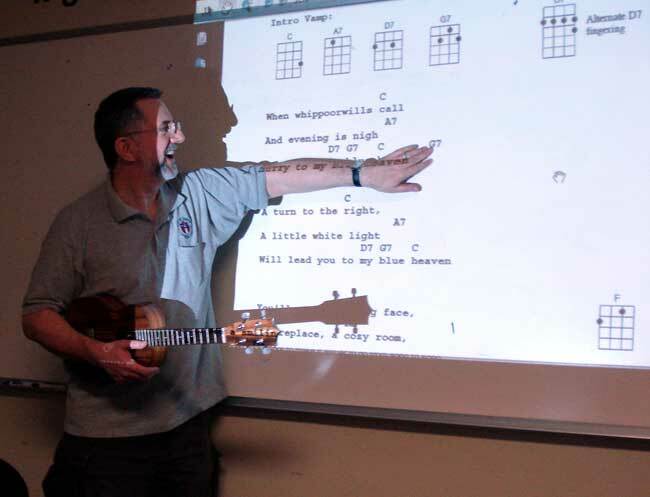 A reminder that you can find downloadable PDF versions of all our song sheets on our blog, http://austinukulelesociety.wordpress.com/. Click on the “Ukulele Music Library” link. We mail out copies of any new songs we’re going to play, but you can always check the Library for the complete set. Reserve the date on your calendar and spread the word: our next monthly meeting will be Tuesday, September 13th, at 7:00pm. We’ll be sending out reminders and posting on our blog and FB page. Please send in suggestions for our sing-along — we’re building a great repertoire. 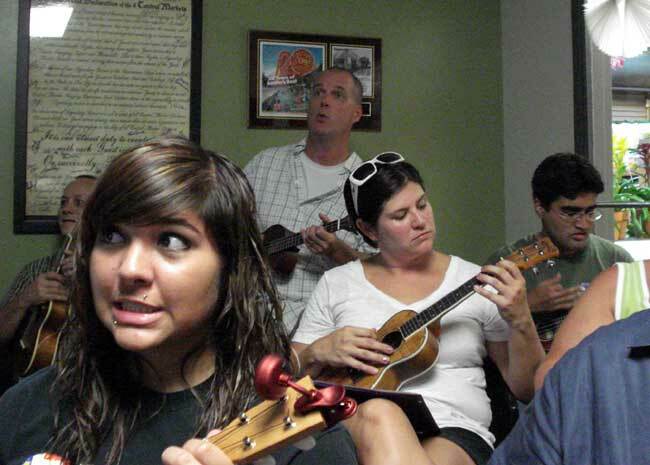 For those who can’t wait until next month, come to “Sweetpea’s Ukulele Night” at Skinny’s Ballroom next Wednesday, August 17th, from 7:00 to 9:00pm. Skinny’s (http://skinnysballroom.com/) is located downtown at 115 San Jacinto. This month’s theme: the British Invasion, with guest hosts Bill “Monster” Jones and Kathy Murray! As always, it’s a pleasure to play with you all. Don’t forget–if you have any ideas for songs to sing at the meeting, please let us know. See you in September, folks! 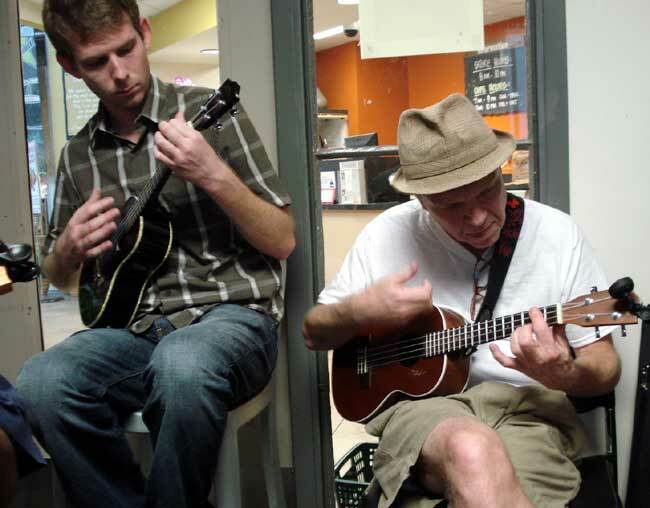 This entry was posted in AUS activities on August 14, 2011 by Austin Ukulele Society. I finally get to come to a meeting again after missing soooo many! I’m rusty but looking forward to it! Thursday meetings would be great, personally. The Tuesday meetings will be tough for me to attend this fall. I vote for some Thursdays thrown in there. Thursdays are better for me but I will make Tuesdays work.